Terminalia chebula as been inventoried and mapped by a number of biologists and collectors. We could not find one source that listed all the locations that have been identified. Here we list the sources of each grouping so you the reader can verify the consolidated list. South East Asia – India, Sri Lanka, Bhutan, Nepal, Bangladesh.Myanmar, Cambodia, Laos, Vietnam, Indonesia, Malaysia, Pakistan, Sri Lanka, Thailand, Japan, China: Native in W Yunnan; cultivated in Fujian, Guangdong, Guangxi (Nanning), and Taiwan (Nantou). First source : E. Asia – China, India, Sri Lanka, Bhutan, Nepal, Bangladesh.Myanmar, Cambodia, Laos, Vietnam. T. chebula is found in the Sub Himalayan tracks from Ravi eastwards to West Bengal and Assam, ascending upto the altitude of 1 500 m in the Himalayas. This tree is wild in forests of Northern India, central provinces and Bengal, common in Madras, Mysore and in the southern part of the Bombay presidency. 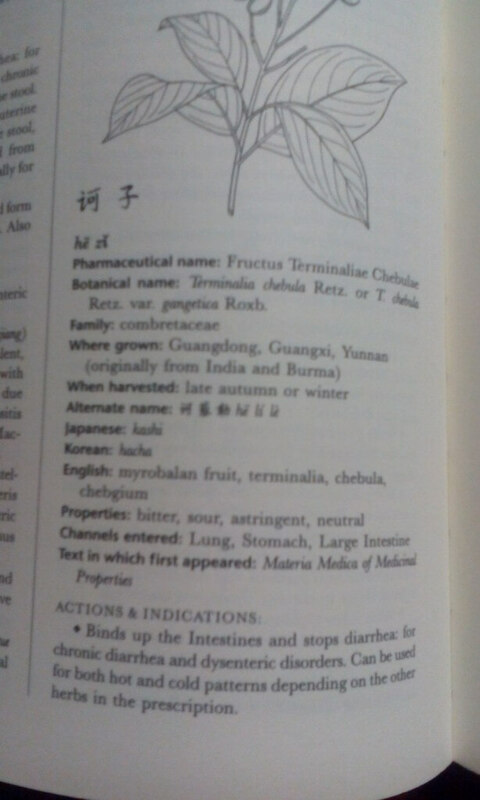 The crude drug was derived from Terminalia chebula Retzus of the family Combretaceae and introduced from India to China, and then to Japan. In the Chinese scripture of Buddhism, the name for HARITAKI is read as “Kelire” (also He Zhi) in Chinese and “Kariroku” in Japanese. It is used as a tonic medicine in India, and as an astringent, a stegnotic and an antitussive in China. Stanglmeier, Udo (2011-12-07). Myrobalan: The Elixir of life in the hands of the Medicine Buddha (Kindle Locations 1832-1837). Vaidya. Kindle Edition. Abhaya, Amandier Indien, Amandier Tropical, Arale, Arjan des Indes, Arjuna, Axjun Argun, Badamier, Badamier chebule, Badamier Géant, Baheda, Bahera, Bala Harade, Balera, Behada, Beleric Myrobalan, Belleric Myrobalan, Belliric Myrobalan, Bhibitaki, Bibhitak, Bibitaki, Black myrobalan, Carambole Marron, Chebulic Myrobalan, Chebulische, Gall nut, Gallnut, Hara, Harad, Harada, Harade, Haritaki, Haritali, Harra, Harro, He li le, He Zi, Hirala, Indian Almond, Indian gall nut, Indian gallnut, Indian gall-nut, Ink nut, Jangalii harro, Kadukka, Kadukkai, Kadukkaya, Kalidruma, Karkchettu, Karshaphala, Manja lawai, Mirobalanos índicos, Mirobaran no ki, Myrobalan, Myrobolan Bellirique, Myrobolan Chébule, Myrobalanenbaum, Pathya, Rispiger, Terminalia arjuna, Terminalia bellirica, Terminalia chebula, Terminalia chebulic, Thuulo harro Tropical Almond, Vibhitaki. 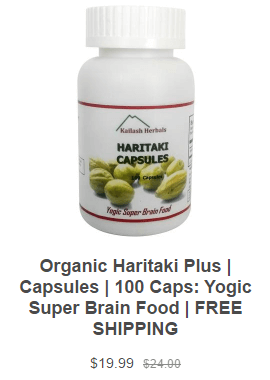 If you wish to cultivate haritaki we have a blog post on that.